DM Metalloys Pvt. 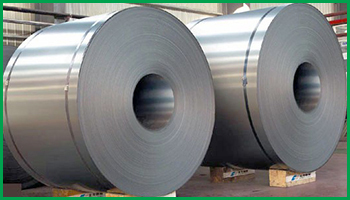 Ltd. is one of the reputed manufacturer, exporter and supplier of stainless steel HR/CR coils India. We produce it at very large scale and quality of it is taken care. Hot rolled steel actually reconfigures itself during the cooling process, giving the finished product looser tolerances than the original material and when compared to cold rolled steel products and the cold rolled process creates a finished product that is more precise dimensionally than a hot rolled product. This is because it is already closer to the finished dimension since it has already gone through the cooling process. Various grades and specifications are also available as per customer requirements. DM Metalloys Pvt. Ltd. Supplies Stainless Steel HR/CR Coils in Faridabad, Gurgaon, Gurugram, Gaziabad, Noida, Lukhnow, Delhi, Delhi NCR, Ludhiana, Amritsar, Chandigarh, Jalandhar, Baddi, Punjab, Uttar Pradesh, Haryana, Mumbai, Pune, Sahibabad, Meerut, Manesar, Bhiwadi, Bawal, Neemrana, SIDCUL, Sonepat, Ambala, Mohali, Panchkula, Kapurthala, Bareli, Kanpur.